Register Log in Stiebel Eltron Asia Ltd.
Bangkok, Thailand – Stiebel Eltron, the pioneer in water heaters and water pumps in the Thai market, has announced a partnership which will transform the laundry industry. 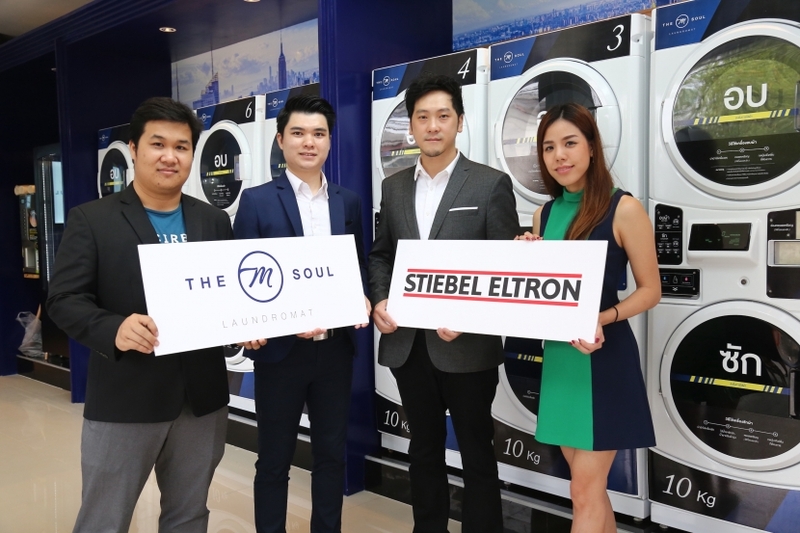 Stiebel Eltron has signed an agreement to partner with M Soul Laundromat, a Thai company that specialises in laundry services within the condominium and apartment market. M Soul Laundromat is looking to expand to more than 60 branches via a franchise system and has teamed up with Stiebel Eltron for the provision of storage water heaters and water pumps to help with saving water and associated costs. Stiebel Eltron's products are designed to be friendly to the environment in every way. Manufacturing methods are designed to be energy efficiency and produce minimal waste. The water heaters and water pumps are designed to conserve as much water and energy as possible and have proven to be the best fit for their new laundromat business. "We plan to extend the current range of our water heaters and pumps in the future and new designs will be in line with partner and customers needs to match the ever changing urban environment in Thailand," he added. Mr. Pitcha Chatritirong, Managing Director of M Soul, said: "This is an exciting phase in our company's development. Our expansion programme is underway and we want to operate in an energy efficient manner. It saves money but is also good for the environment and Stiebel Eltron's products are a good synergy for these aims."